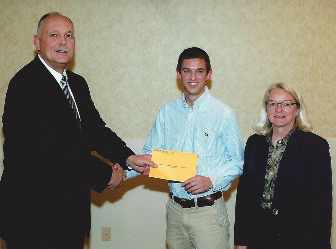 The 2017 Gib & Brenda Compton Construction Science Scholarship was awarded May 6, 2017 at the 41thannual architectural Engineering and Construction Science Management Banquet. Pictured left to right are Benjamin Haukaup of Garden Plain, Gib Compton, Bryce Morgan and Brenda Compton. Haukaup and Morgan are students in the Construction Science and Management program. 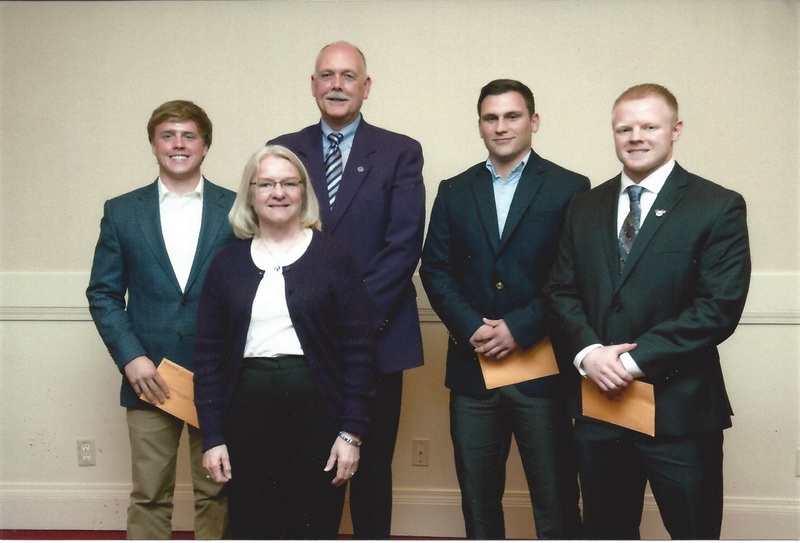 The 2016 Gib and Brenda Compton Construction Science Scholarship recipients are pictured above left to right: Nathan Sterns, Brenda Compton, Gib Compton, Brandon Stewart and Bryce Yohn. 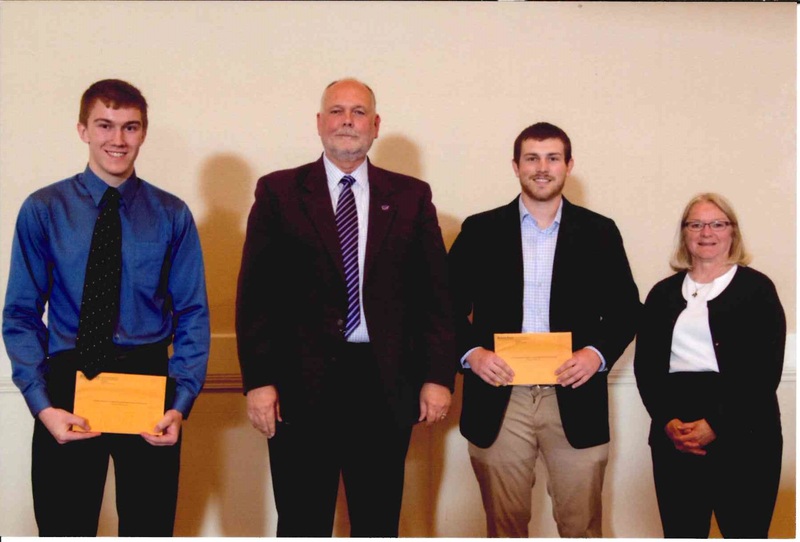 The scholarships were awarded at the 40thannual KSU Architectural Engineering and Construction Science Management Banquet held May, 2016. The 38th annual Architectural Engineering and Construction Science Management Banquet was held at the Clarion Hotel in Manhattan, KS on May 8, 2015. Three young men majoring in Construction Science & Management were selected as scholarship recipients for the 2015-2016 school year. Left to Right: Andrew Eigsti a junior from Shawnee, KS plans to graduate in Spring of 2017. He was Open House Chair for the student chapter of AGC and is drummer for the pep band. 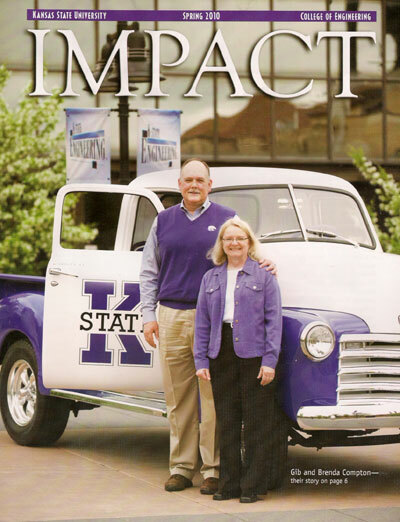 Joseph Lohmann a senior from Seneca, KS, is a member of Sigma Lambda Chi honorary for the construction industry. He plans to graduate may of 2016. Brian Witt, a senior from Overland Park, is an honor student and active member of the U.S. Army ROTC program. The 38th annual Architectural Engineering and Construction Science Management Banquet was held May 9, 2014. 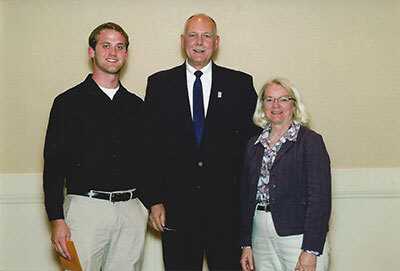 Robert Berglund from Gretna, Nebraska was awarded the Gib and Brenda Compton Construction Science Scholarship for 2014. He is a member of AGC, ACI and Sigma Lambda Chi Pi. he is also the secretary for engineering's Steel Ring Society and an ambassador for ARE/CNS for the 2014-2015 academic year. He plans to graduate May 2015. In Augst 2013, Compton Construction was recognized by the American Public Works Association (APWA) in a new category: Small Cities/Rural Communities Projects of the Year. This award for agencies from cities or counties with a population of 75,000 or less was established to promote excellence in demonstration creativity, ingenuity and efficiency in the delivery of public works project that have profound impact on the community. 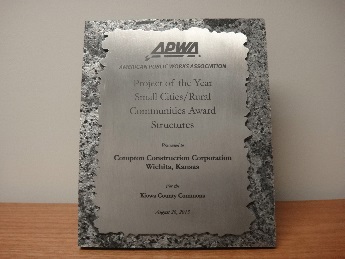 In the area of Structures, Kiowa County Commons earned this award. The owner is Kiowa County, KS. The consultant was Professional Engineering Consultants, P.A. The general contractor was Compton Construction Services LLC . It also won the AIA Kansas Design award. Matt Cortez of GLMV architects was the lead architect for this project. 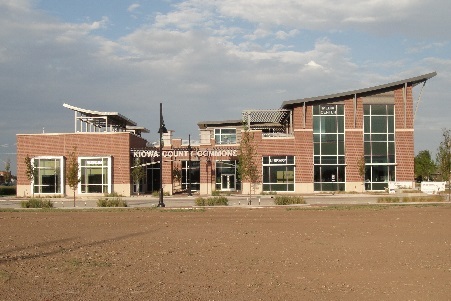 Kiowa County Commons was completed in July 2011 and dedicated Nov. 2012. It is a LEED Platinum level facility. The 37th annual Architectural Engineering and Construction Science Management Banquet was held at the Clarion Hotel in Manhattan, KS on Friday, May 10, 2013. Kyle Mayer, a graduate of Shawnee Mission South and from Overland Park, KS, is currently a sophomore in the Construction Science Management program. He plans to graduate during the fall semester of 2016 after spending a semester studying abroad. His dream is to become a Project Manager or Job Superintendent. Kyle is a member of Delta Chi Fraternity and Scholarship Chairman. Other awards earned include the Academic All American by the National Swimming Coaches Association and the MED ACT coin. While working as a lifeguard, he assisted in helping to save a man’s life. The 36th Architectural Engineering and Construction Science Management Banquet was held at the Clarion Hotel in Manhattan, KS on Friday, May 4, 2012. Gib & Brenda Compton had the honor of presenting the Compton Construction Science Scholarship to Matt Brown from Omaha, NE. Matt is majoring in Construction Science with minors in business and Spanish. He plans to graduate May 2013. 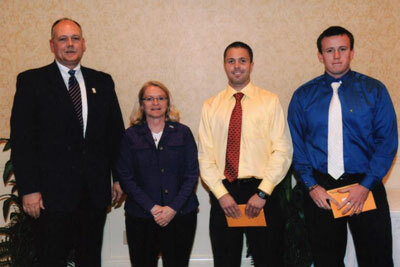 The 35th annual Architectural Engineering and Construction Science Management Banquet was held Friday, May 6, 2011. 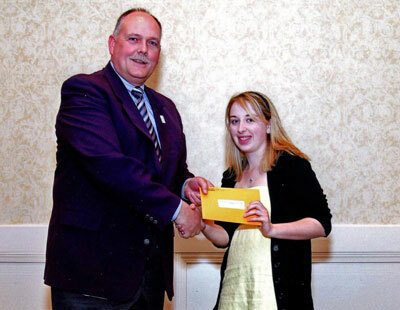 Gib Compton had the honor of presenting the Compton Construction Science Scholarship to Sarah Rees. Sarah is originally from Vancouver, British Columbia, Canada. She graduated with an Associates of Liberal Arts degree from Johnson County Community College, Overland Park, KS, July 2010. She is currently a sophomore majoring in Construction Science Management at Kansas State University with plans to graduate in May 2013. 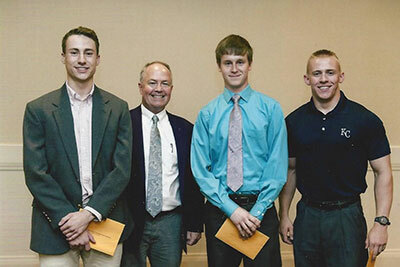 The 34th annual Architectural Engineering and Construction Science Management Awards Banquet was held Friday, May 7th. Gib and Brenda Compton had the honor of presenting the Compton Construction Science Scholarship to two students this year: Mitchell Gatz and Brian Pulcher. 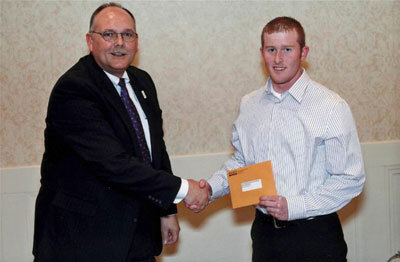 Mitchell is from Colby, KS and plans to graduate May 2012 in Construction Science & Management (CNS). Brian Pulcher from Leawood, KS plans to complete the CNS program in May 2011. Congratulations to both these fine students as they complete their education and pursue their careers. The 33rd annual Architectural Engineering and Construction Science and Management Awards Banquet was held in Manhattan, KS on May 9, 2009 at the Clarion Motel. 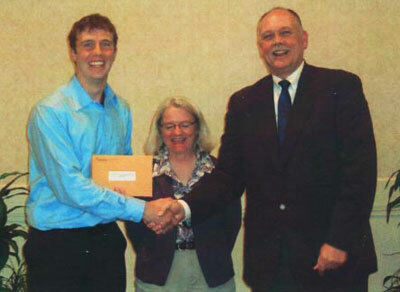 The 2009 recipient of the Gib and Brenda Compton Construction Science Scholarship is Nick Barnard of Wichita, KS. He is an ‘07 graduate of Maize High School. Nick will be a junior at Kansas State University this Fall and plans to focus on commercial construction in the Wichita area upon graduation in December 2011.